Extra fine tooth saws (also known as Jeweler's Slotting Saws) designed for work where precision tolerances and good finishes are required. Can also be used on precision lathes or similar small machines. 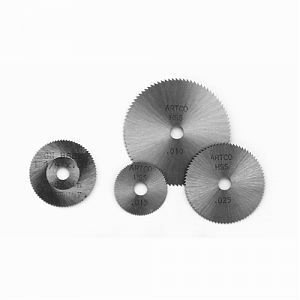 All blades listed below come with 1/4" diameter center hole. Quantities are limited. Diameter 5/8" dia. 1" dia.